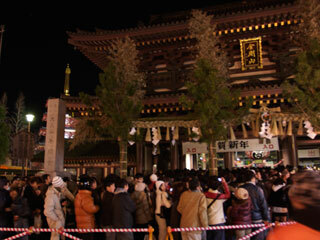 Kawasakitaishi Temple (川崎大師平間寺) is 2nd most famous temple/shrine for New Year Worship (Hatsumode) in Japan. About 3 million visitors visit this temple on New Year's Days. It is one of the most famous temple for Hatsumode in Japan. It is Shingon Style Buddhism Temple open in 1128. It is very famous for Protecting from disaster. 11th Tokugawa Shogun visit this temple for his luck. There are many temples in Kawasakitaishi and many of those are historically very important.